I just completed Color Weaving I, and it is currently getting its first wash. I am looking forward to seeing how it crinkles up! I decided to go with an all over “robot boxes” quilting pattern. I think it works pretty well with the quilt design, and I am hoping that I will work on my piecing precision enough to get to do some fun straight line stitching on another iteration of this quilt! It is a beautiful day here; I should probably walk this quilt down to the park and take some photos of it in an outdoor setting. I think that getting nice photographs of my quilts will be a new challenge for me as I continue to grow as a quilter and blogger. I pieced the quilt in width-wise strips. I did not have issues with the longer blocks (the top, middle, and bottom stripes), but for the smaller strips I struggled with alignment. I found that as I laid out the 2nd quilt top I made sure that each strip’s seams matched up with the strip above and below it and ripped seams to fix areas that were a bit wonky or too big / too small and was much happier. If at all possible, try to do a group of strips at one time. Once I got into a rhythm it was easy to sew consistent seams. When I took a break and came back to work, I lost a bit of consistency and needed to rip more seams to fix. It feels good to have another project complete. Thanks for stopping by and I hope everyone has a great weekend! oh I like that quilting pattern. Is that done as FMQ? 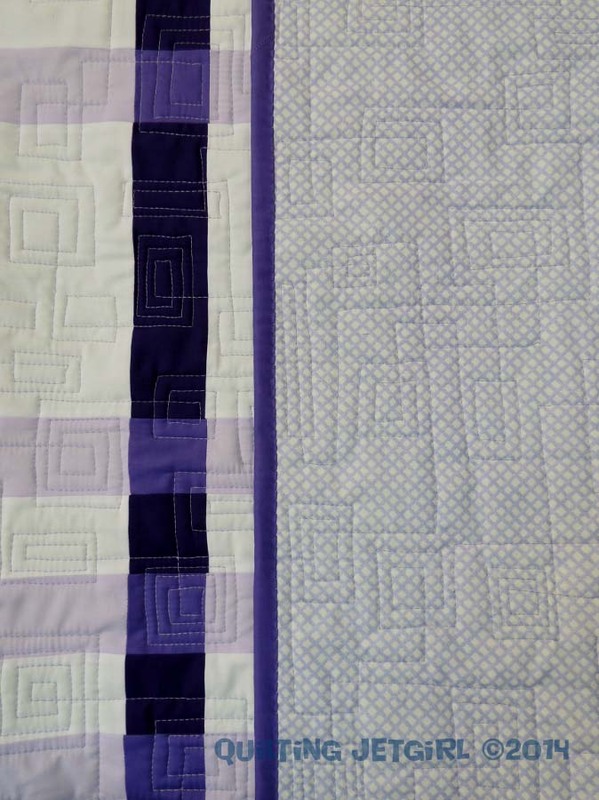 very cool, I like the color combination and I think the quilting pattern works very well. Did you make up the pattern yourself? The quilting is perfect- and I can’t believe how wonderful the quilt looks on the chair! The quilting is fabulous on this quilt. It’s a great design. 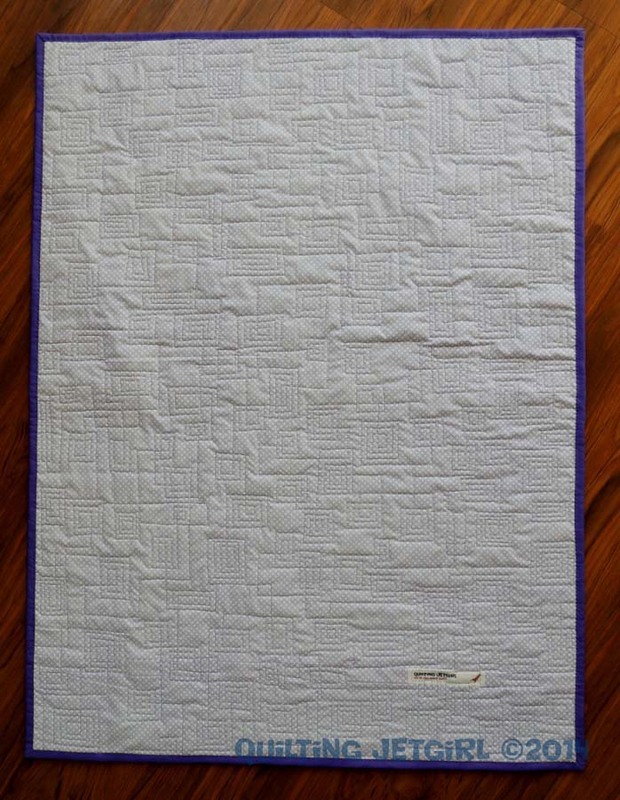 Really enjoyed your thoughts of what you learned and what you would like to do differently in a remake of this quilt! Beautifully done!! The quilting is perfect too 🙂 Isn’t it crazy how walking away for awhile and coming back tends to make one forget how to sew a straight seam?? When I get in the zone, I find it hard to get up to do anything else! I love this quilt! So simple and mod and gorgeous. The quilting adds just the right amount of detail. Awesome.